There is a lot of buzz going around right now about promoting quality Early Childhood Education. 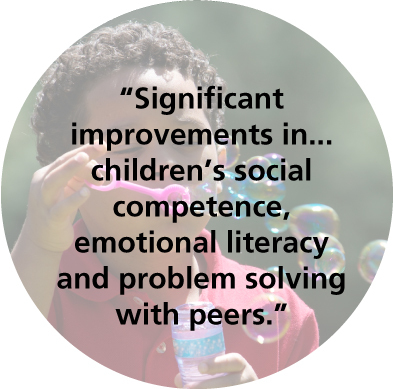 We know this is a vital time in children’s lives, where they are learning important lessons about problem solving, engaging with peers, cooperating with teachers and parents, and more. 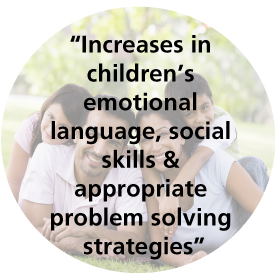 Providing extra support for parents, teachers and children during these early school years can result in lasting skills which will help to reduce aggression and behavior problems, while increasing positive social interactions and academic competence. The Incredible Years® programs (www.incredibleyears.com) aim to do just that, and in this two part series we hope to shine a light specifically on using the Incredible Years® series in a Head Start context. 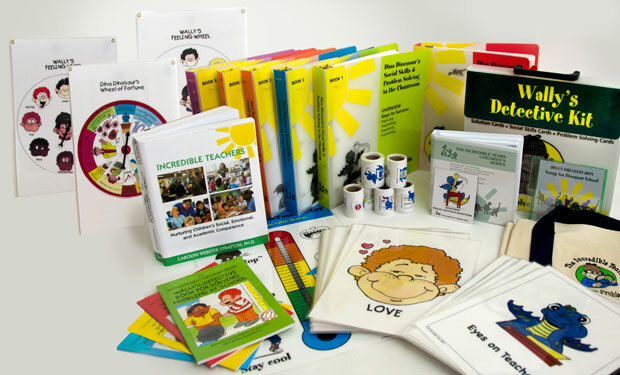 Numerous randomized control group studies over the past 2 decades have shown that using the Incredible Years® (IY) Parents, Teachers and Children’s Training Series in Head Start or Sure Start (in United Kingdom) results in significant improvements in classroom observations of children’s social competence, emotional literacy, and problem solving with peers. Additionally, there are increases in child cooperation with teachers, engagement with school activities, school readiness and reductions in children’s aggression in the classroom. According to both parent and teacher reports, parent involvement in their children’s school activities as well as with teachers was significantly improved compared to Head Start control families’ reports. 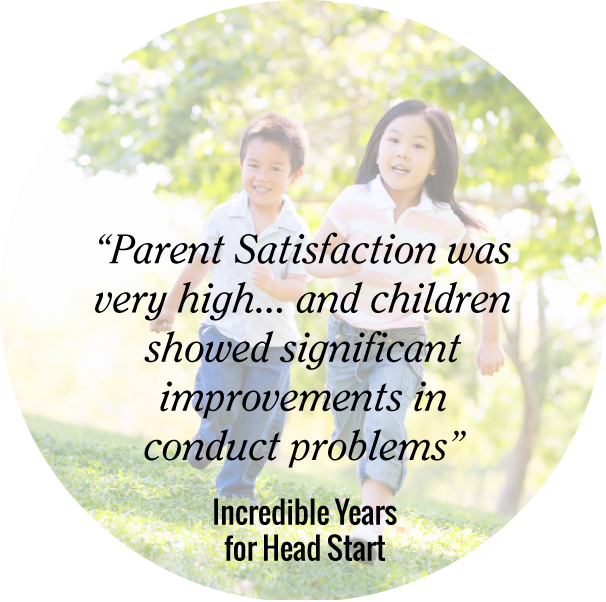 The first study was carried out in 1998 to examine the effectiveness of the IY parent program for Head Start families. The sample included 426 Head Start mothers and their 4 year old children who generally faced multiple risk factors, including 85% receiving welfare, 55% single parent status, 42% moderately depressed and 28% with substance abuse problems. Approximately 37% represented minority group status, including Asian, Hispanic and African American families. Seven Head Start centers were randomly assigned to either the intervention condition or regular Head Start services. 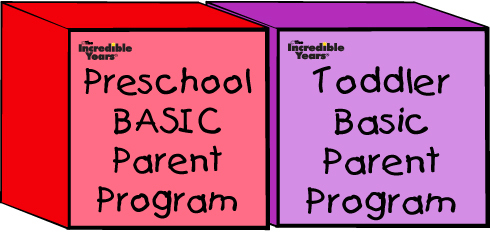 In the intervention condition parents received the IY Parent basic program (9 sessions held weekly for 2 hours) which was delivered by trained family service workers. Additionally, Head Start teachers participated in a 2-day workshop to familiarize them with the IY parent program. Training for both parents and teachers covered the importance of parent-teacher communication and parent involvement in Head Start. Results showed significant improvements in blind observations of the intervention group parent behaviors including fewer critical remarks, less harsh discipline and more nurturing and responsive parenting compared with the control group mothers. In turn, the children of intervention group mothers had fewer behavior problems than control group children whose behavior remained unchanged. Intervention group teachers and parents reported significant improvements in children’s behaviors and teachers also reported increases in parents’ involvement and contact with schools. Parent satisfaction with the program was very high with most parents requesting that the program continue longer. One year later, improvements in intervention mothers’ parenting skills and children’s behavior were maintained according to home observations and parent reports. Webster-Stratton, C. (1998). Preventing conduct problems in Head Start children: Strengthening parenting competencies. Journal of Consulting and Clinical Psychology, 66(5), 715-730. In 2001, another study looked at the effectiveness of offering a longer, more comprehensive IY parent program alongside the IY teacher program. The sample included 272 Head Start mothers and 61 teachers. As in study #1, many of the families faced multiple risk factors and 63% represented ethnic minority groups. Fourteen Head Start centers (34 classrooms) were randomly assigned to either intervention or control groups. In the intervention group, parents received the Basic and Advance IY parent programs (16 sessions held weekly for 2 hours). The material included school readiness training (pre-reading and writing skills) and parent problem solving skills. At the same time, teachers were trained in the IY Teacher Classroom Management Program, which focuses on building relationships with students and parents, proactive discipline and ways to promote student’s social and emotional competence. Teachers received 6 full day workshops spread throughout the school year. The parents in the Head Start control group received their usual services which included some parent education. Results indicated improvements for intervention group parenting interactions, including more responsive, positive parenting and less negative interactions than control group parents. Parent-teacher bonding was significantly higher for intervention parents who attended six or more intervention sessions than for control group parents. Intervention group teachers had higher scores on classroom management skills than those in the control group. 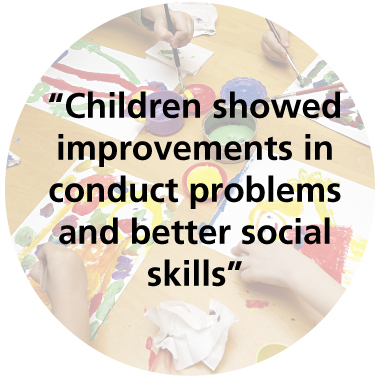 Children in the intervention group showed significant improvements in conduct problems at school and better social skills competence compared with control children. Results indicated significant changes regardless of the ethnicity of the family and high consumer satisfaction scores. Webster-Stratton, C., Reid, M. J., & Hammond, M. (2001). Preventing conduct problems, promoting social competence: A parent and teacher training partnership in Head Start. Journal of Clinical Child Psychology, 30(3), 283-302. 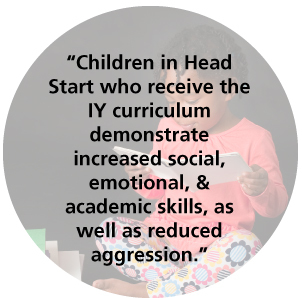 In addition to the developer studies (described above), Dr. Judy Hutchings and her team (in Wales) have conducted studies evaluating the IY basic parent program in Sure Start (a similar program to Head Start in the UK, for economically disadvantaged families). Short and long term outcomes were impressive for the entire sample, replicating those achieved by the developer, including similar high retention rates. Good outcomes were also achieved for children from the most disadvantaged, typically hard-to-engage families with clear evidence that change in parenting behavior mediated changed child behavior. Additionally, the Wales team evaluated the IY teacher programs as well as parent programs with positive outcomes in terms of changes in teacher and student outcomes. Bywater, T., Hutchings, J., Daley, D., Whitaker, C., Tien Yeo, S., Jones, K., et al. (2009). Long-term effectiveness of a parenting intervention for children at risk of developing conduct disorder. The British Journal of Psychiatry, 195, 318-324. Gardner, F., Hutchings, J., & Bywater, T. (2010). Who benefits and how does it work? Moderators and mediators of outcome in a randomized trial of parenting interventions in multiple ‘Sure Start’ services. Journal of Clinical Child and Adolescent Psychology, 39, 1-13. Hutchings, J., Daley, D., Jones, E. E., Martin, P., Bywater, T., & Gwyn, R. (2007). Early results from developing and researching the Webster-Stratton Incredible Years Teacher Classroom Management Training Programme in North West Wales. Journal of Children’s Services, 2(3), 15-26. Other independent replications using randomized control group studies have been conducted utilizing the Incredible Years Parenting Programs in the United Kingdom, Norway, Ireland, Holland and Portugal. Some of these studies use the prevention version of the program and others are offered as treatment programs for children with conduct problems and ADHD. Despite the successful research by the developer and other researchers in 5 other countries, there are still many challenges ahead – of course including the potential funding restrictions arising from cuts in government funding. Early intervention requires sustained support from politicians, agency directors, trainers, mentors and coaches. 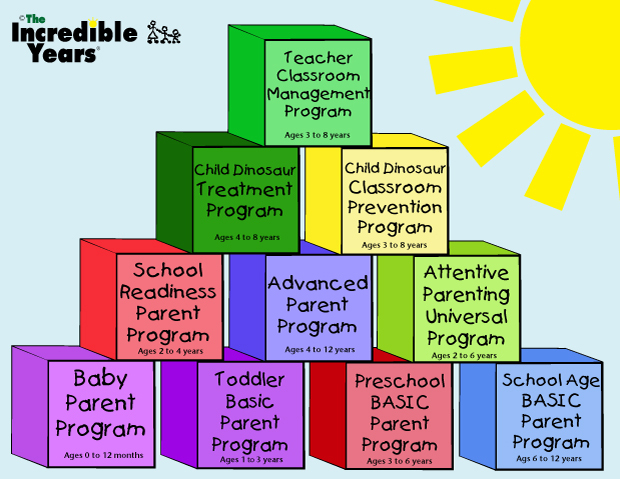 Categories: Head Start, Incredible Years, News, Research | Tags: Children, Classroom, Head Start, parenting, Social Emotional Learning, The Incredible Years | Permalink.